What luck! On the weekend I went to Korea, a new exhibit came to town! 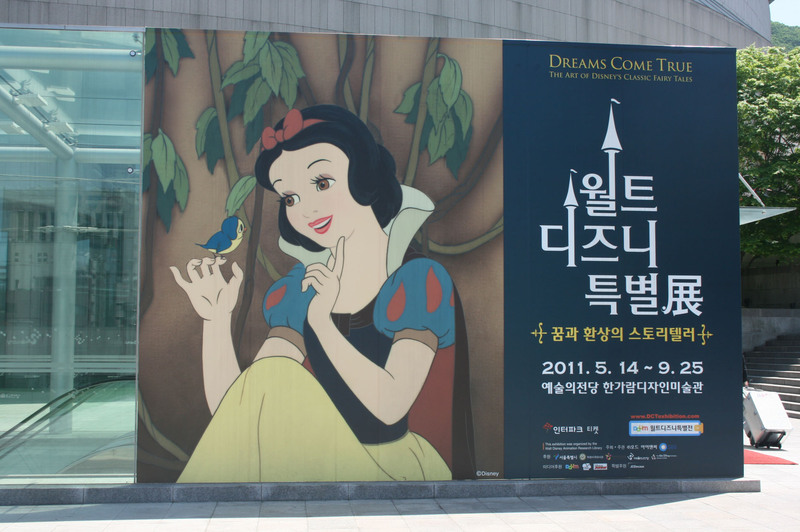 I went to the Seoul Arts Center on my last day to visit the Disney exhibit featuring concept art, sketches, and animation drawings from many of Disney’s most beloved cartoons.